Intercept Management Corp offers court appointed receiver services for insolvent companies and distressed properties. As a receiver, Intercept Management Corp remains an independent and impartial party who manages the business as an ongoing concern or the liquidation of all assets to settle debts to creditors in conformance with court orders. Intercepts Management Corp’s receivers are knowledgeable, creative and well-connected. They will use their experience to negotiate an outcome that is in the best interest of all parties involved. Intercept Management Corp has a network of skilled accountants, attorneys, real estate brokers and liquidation professionals who are well versed in the receivership process. Intercept Management Corp will act as the property manager on all cases and will seek the maximum return in all transactions. Choosing the right receiver is incredibly important for any case. Intercept Management Corp’s receivers have the creativity, drive and requisite amount of experience in multiple business disciplines that different cases require, to increase the possibilities for maximization of the value of the assets. A company or a creditor should always chose a receiver based on the experience of that receiver, the ability of that receiver to build relationships with others, and the ability of the receiver to maximize the value to all the parties involved. Due consideration should be given to finding the receiver that is best suited for the job at hand. 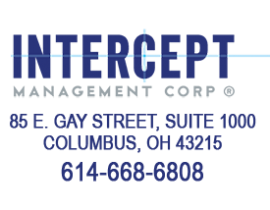 Intercept Management Corp has successfully handled over $15,000,000 in assets so you can rest assured that we will manage your case with great care, strong attention to detail and impeccable professionalism. We will effectively transition your company through receivership at the best value you can experience.